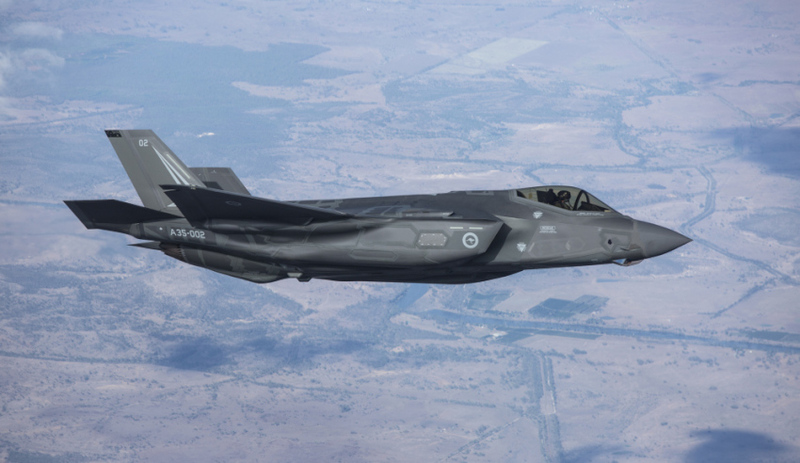 F-35A Lightning II Joint Strike Fighter A35-002 just before landing at RAAF Base Amberley, Australia. Geelong's Chemring Australia is providing flares to the JSF aircraft. The demise of Australia’s car manufacturing sector has been a cause of concern for many federal and state politicians over the last few years. But Geelong MP and opposition spokesman for Defence Richard Marles is hopeful the industry will be able to transition and successfully contribute to the growing defence industry. Marles joined the Defence Connect team where he discussed the potential for the Victorian and South Australian workers affected by the closure of Ford and Holden, as well as those from the Geelong region's alumina refinery, Alcoa. "They're [residents] becoming more aware, and there's a story that you're seeing around Australia ... of parts of Australia that have traditionally been involved in manufacturing, where that's been hollowed out in recent years, you've seen that across Victoria and South Australia, real examples of that," Marles said. "But Geelong is very much an example of that, as well. We've had both our Alcoa and Ford closed in their manufacturing business within Geelong, having been, in the case of Ford, since the 1920s making cars in Geelong. And in the case of Alcoa they've been smelting aluminium for more than 50 years. "So big shocks, local shocks to the economy. In that context, when looking around for what else can we do with those sort of manufacturing skills, defence industry is a natural place to look. I think that is a large part of the South Australian story, as well. It's an important thing to be aware of." The Victorian MP is optimistic that the crossover of industries will lead to a much more tech savvy manufacturing space in Australia, due to the increasingly high-tech nature of defence industry. And the collaboration of industry with academia will only enhance Australia's capabilities and more prominent in Victoria and SA, Marles said. "We do have a whole lot of talents within our community now, which can usefully be brought to bare in the defence industry space. It's a high-tech space, and that's exactly what we want to be doing within our manufacturing, more generally, climbing the technological ladder," he said. "In combination with university, so in Geelong it's Deakin University, but you'll see university's engaged in South Australian and Victorian spaces, as well. I think there are real opportunities. Those regions need to become more focused. As to say, South Australia is clearly very focused and I think you're seeing a growing awareness for the potential for the defence industry for local economies in Victoria, as well, and Geelong is a part of that." And the Geelong local said there are already excellent examples of contributors to the defence industry in the Geelong region, with one already contributing to major aircraft such as the C-130J Hercules and JSF F-35. "There's a company, Chemring, in the northern part of Geelong, which makes flares for a number of aircraft, including the Hercules. They're doing that for the JSF." To hear more from the opposition spokesman for Defence, listen to our podcast here.